Today’s post is an extended quote from pp. 90, 91 of the Report of the Liturgical Committee in the Psalter Hymnal Supplement. Here the committee presents an excellent and thorough explanation of the attitude that should characterize the opening of a Reformed worship service. How any meeting begins is settled, generally, by the character or office of the participants. God Himself defines the nature of this meeting. He graciously calls His people into His presence, welcomes them into His fellowship, speaks His Word to them and listens to their words. Two things about God and His call to worship stamp the character of our weekly meeting with Him. He is the Holy One. However close He tabernacles with us in the Incarnation, the Word, and the sacraments, He remains the God who is Holy. He is the Awful One. Sinners neither stroll nor storm into the Holy Mountain; they come tremblingly, by royal invitation. The response to the Holy One is awe, wonder, fear and trembling. We begin our meeting with Him, if we begin it fittingly, with a liturgical act with betrays that we know we are meeting with the Holy One of Israel. He is the Holy One who has come to us in redemptive intimacy. He did something; He entered a covenant with us, made us His covenant partner. He divided the waters. He came down “for us sinners and our salvation.” He destroyed the power of the Devil. He opened up the gateway into His Kingdom for us. “He Arose!” And His Christ “dwells in us.” He has given us something to celebrate; the fact of Easter defines our meeting with God as truly as does His holiness. Therefore the liturgy ought to reflect jubilation—the beginning ought to suggest something of its excitement, its festivity. Entering worship on a Lord’s Day morning is an anticipation of entering the “new creation.” And we ought to show it. The fact of salvation defines the opening; but the character of the Holy One still qualifies it. We meet God in jubilation; but the God we meet is still the Holy One. In visiting various United Reformed congregations, I’ve often been curious about the source of the basic structure and consistency of our liturgy. In pp. 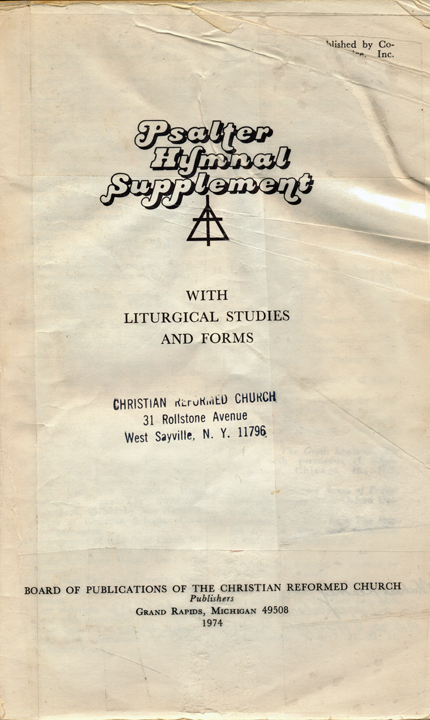 75-88 of the back matter of the Psalter Hymnal Supplement, the Liturgical Committee traces for us the general background of the liturgy inherited by the Christian Reformed Church and passed down to the URCNA. In its commitment to the regulative and dialogical principles of worship, which we discussed earlier, the Protestant Reformation gave birth to a number of different liturgical structures. What they had in common was their strong emphasis on the preaching of the Word and prayer, stripping the Roman Catholic mass of its ornate and intricate ceremonies. The primary focus of worship was the fourfold purpose described in the Heidelberg Catechism: “to learn what God’s Word teaches, to participate in the sacraments, to pray to God publicly, and to bring Christian offerings for the poor” (Lord’s Day 38, Q&A 103). While the Reformation gave the Word of God the proper place in its worship, it tended to de-emphasize the sacraments, perhaps as a pendulum swing away from the Roman Catholic church. When the Lord’s Supper was celebrated, it was often given its own unique liturgy, which explains why even today churches of Dutch Reformed origin often celebrate the sacrament only once every few months in a specially structured “Communion” service. From the various liturgies of Bucer, Calvin, Zwingli, and even the Lutherans, Peter Datheen (Petrus Dathenus) created what would become the standard liturgy of the Dutch Reformed churches. More than the actual structure of the worship service, however, Datheen was involved in the creation of liturgical prayers and formularies, many of which have made their way into the back of today’s Psalter Hymnal. It was not until late in the sixteenth century that the churches in Holland began to incorporate Scripture reading and psalm singing into their worship, first before the services began and later as part of the liturgy itself. This gradual and unstructured growth explains the fact that a systematized order of worship was not established for the Dutch churches until 1933. The Christian Reformed Church, ancestor of many of our congregations, inherited this unofficial liturgy from the churches in Holland. It was not until 1916 that an overture came from Classis Illinois urging the CRC synod to establish a uniform order of worship. The study committee appointed by synod to consider liturgical matters reported back in 1928 with this proposed order of morning worship, which the CRC adopted. To emphasize the dialogical structure of this liturgy, actions from the side of God are italicized, whereas actions from the side of the people are in regular type. How was this order of worship received? According to the Psalter Hymnal Supplement, it fell on its face. The congregations of the CRC “choked on the ‘absolution’ that had been given a place in the liturgy following the law and confession. In 1930, the new liturgy was dropped—after considerable protest and agony” (p. 87). The new liturgy would be detrimental to the unity of the churches. Synod had no authority to impose a uniform order of worship on the churches. Elements of the liturgy, particularly the absolution, were unnecessary or even unbiblical. With regard to the absolution and service of reconciliation, “they foster formalism and ritualism; the absolution is lifted to a sacrament; it will push the preaching into the background; it is a step in the direction of Rome; God alone can forgive sins; the absolution transfers the exercise of power of the keys from the Word to the man and his office” (Acts of Synod 1930, 158). In summary, this advisory committee posed this rhetorical question: “May we endanger the peace and the welfare of our denomination by insisting upon a liturgical element that has no clear Scriptural foundation?” (1930 Acts, 160). After the liturgical debacle of 1930 no more attempts were made at introducing a uniform order of worship in the Christian Reformed Church until the time of the Psalter Hymnal Supplement. However, individual consistories continued to develop a variety of liturgies for their own churches, each to fill unique needs and worship God in distinct ways. And that, in a nutshell, is the liturgical history the United Reformed Churches in North America has inherited. Next we’ll consider a few of the key elements of Reformed worship and their varied manifestations in our liturgy. In praise of His great worth. Just a few months after participating in a three-week international psalm-singing choir tour in southeast Asia, I had the privilege of experiencing a small slice of another vocal tour when Geneva College’s ensemble New Song gave a concert at my home church this past weekend. Through music and drama, the timeless words of the Gospel are conveyed in a contemporary and dynamic way. Passionate, stirring, convicting, the words of the psalms, as well as the whole of Scripture, are just as fresh and compelling as when they were penned thousands of years ago. 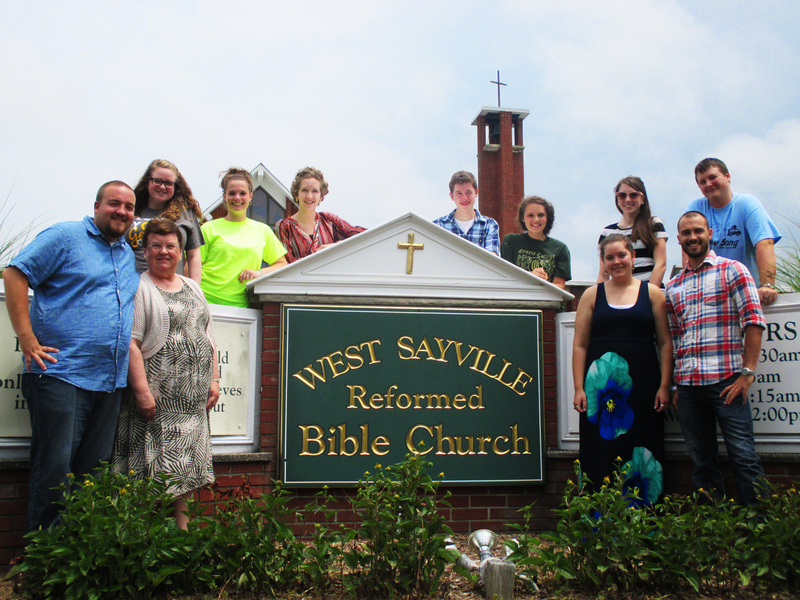 New Song, now in its 38th year, has always featured a cappella singing of the psalms. 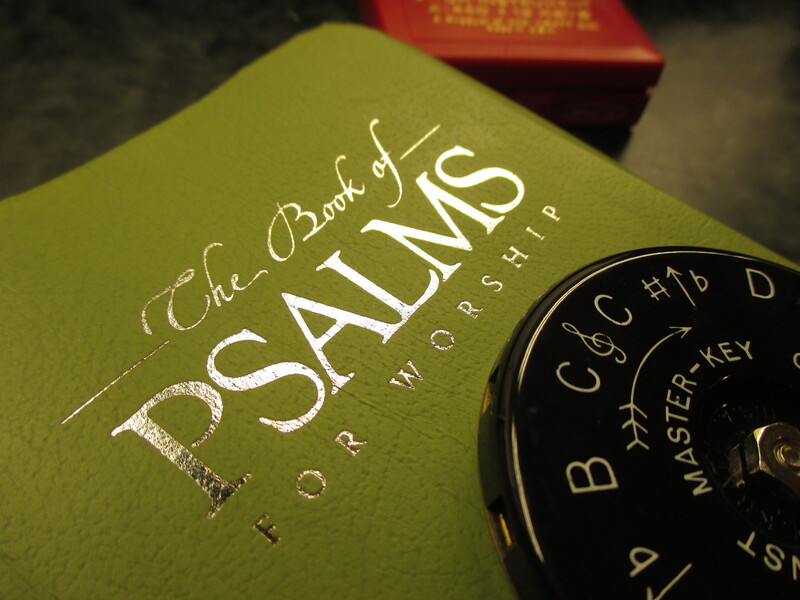 Psalm singing is one of the distinctive features of the worship of the Reformed Presbyterian Church of North America. 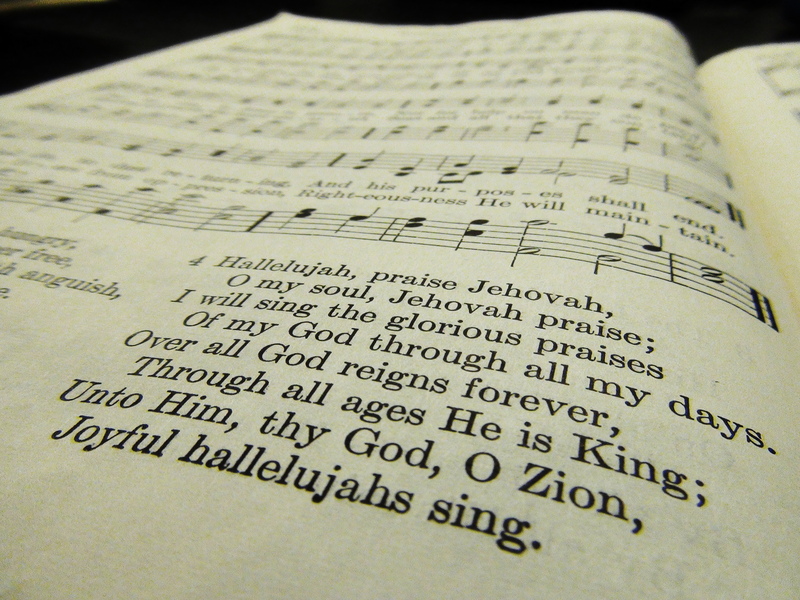 While uncommon in today’s churches, psalm singing was the historic practice for most Presbyterian, Reformed, Baptist and Congregational churches for many generations. New Song’s psalm selections attempt to show the wide range of emotion and praise found in the psalms. Thou art my Lord; apart from Thee no good do I possess. Thou hast maintained my perfect lot, secured to me Thy grants. New Song doesn’t limit their repertoire to the psalms, however. They concluded their concert with a number of hymns and contemporary choruses reflecting the redemptive themes of Scripture. My personal favorite was their performance of James Ward’s new tune for “Rock of Ages”; few people know that he composed this now-famous tune specifically for this vocal group. Not much seems “new” about a group that tours North America singing psalms a cappella. Contemporary Christian culture—and certainly the rest of the world—has moved on. But through their humble and beautiful music, the young people of New Song demonstrate that the psalms and themes of Scripture have enduring value. More than that, they continue to proclaim God’s message of reconciliation to the world, a message that culminates in that Day when all things will be made new. Before heading to bed on Saturday night, the men of New Song and I sat around the kitchen table and sang the words of Psalm 42 from Psalter Hymnal 75. It was a wonderful way to conclude a memorable visit. New Song will continue their tour in the United States and Canada through August 1; check their itinerary to see if they’ll be at a venue near you. Attending a college located almost 300 miles from the nearest United Reformed congregation has allowed me to acquire the hint of an outsider’s view of how our churches worship. Sometimes I’m able to stop by one of the URC’s in Pennsylvania or New Jersey on the way to or from Geneva, but for most of the school year I attend worship at the College Hill Reformed Presbyterian Church on campus. For someone relatively oblivious of worship practices outside our own federation, this sojourn has proved to be eye-opening. 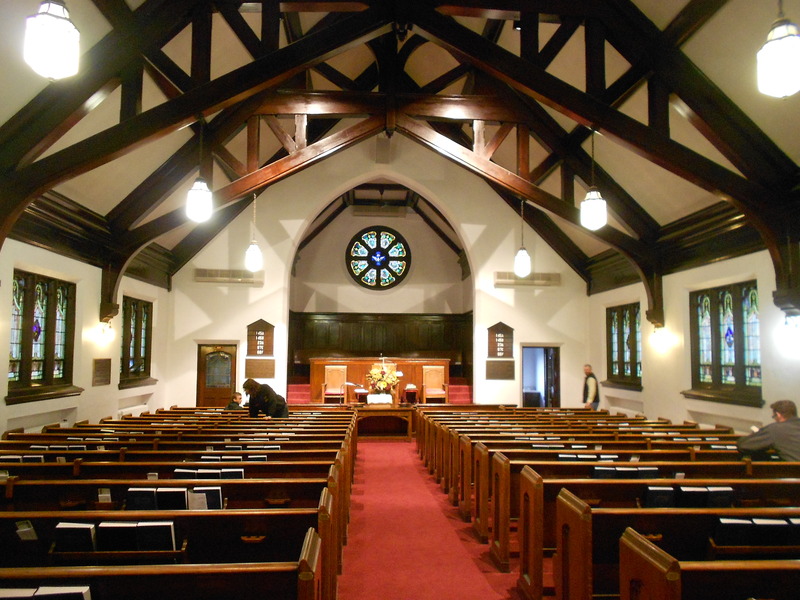 The Reformed Presbyterian Church of North America (RPCNA) is closely related to the URCNA in background and theology, and its worship services exhibit the same basic structure and sequence: praise, confession, prayer, and preaching. However, some of the particulars at College Hill are noticeably different. Psalms are sung exclusively, instruments are not used, the service does not open with the familiar line “Our help is in the name of the Lord, who made heaven and earth,” and the Ten Commandments are not regularly read. It may seem like an obvious question, but why do different churches worship in different ways? Which differences really “matter”? Which distinctions are merely a product of history and tradition (such as the unique Dutch Reformed votum “Our help is in the name of the Lord”), and which arise from convictions about the nature of worship (such as the Reformed Presbyterians’ exclusive psalmody)? Specific to the United Reformed Churches in North America, why do we worship as we do? Are there areas in which we should improve our liturgy, and if so, how? In the next few blog posts I’d like to explore some of these questions along with you. It’s a study that will require delving into theology, ecclesiology, and history. If you’re interested, I ask that you bear with my limited knowledge on this subject—I’m just beginning to seriously investigate it myself—and feel free to contribute your own thoughts. As a relatively simple introduction to the history of worship in the Dutch Reformed tradition, I’ll be referring often to material from the Psalter Hymnal Supplement published by the Christian Reformed Church in 1974. 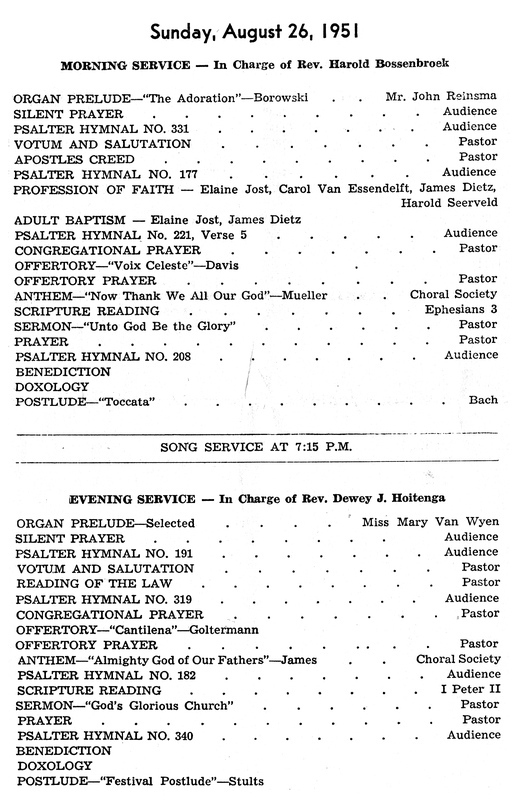 The Psalter Hymnal Supplement contains a set of sixty-three songs commissioned by the CRC to “supplement” the contents of the blue (1959) Psalter Hymnal. In addition, it includes the provisional translation of the Heidelberg Catechism that would later appear in the 1976 reprint of the Psalter Hymnal, and—most pertinent to our discussions—the report of the CRC’s Liturgical Committee to the synod of 1968. While the Psalter Hymnal Supplement’s ideology of worship may raise some questions, and although it has ceased to be of much practical use to our churches (I dug this copy out from a musty corner of my church’s library), it continues to hold significant value for its historical insight. Before such a discussion can even begin, we need to define our terms. What is “liturgy”? What, for that matter, is “worship”? As the Liturgical Committee describes it, liturgy is “those acts done by the church in its solemn assembly with God” (Supplement p. 69). Worship, though it can be applied in some sense to every waking moment of the Christian’s life, refers specifically to “a meeting between a Person and persons” (p. 74), that is, God’s meeting with his covenant people. In other words, liturgy is the sequence of events that take place in our churches’ services; worship is the dialogue we are there to partake in. Moreover, before any historical or practical arguments for particular worship practices can be made, we must emphasize two principles foundational to any faithful discussion of liturgy: the regulative principle of worship and the dialogical nature of worship. The regulative principle of worship, a key tenet of the Protestant Reformation, is expressed succinctly in the Heidelberg Catechism’s treatment of the second commandment: we are not to “worship [God] in any other way than he has commanded in his Word” (Lord’s Day 35, Q&A 96). (Presbyterian friends, see Westminster Confession of Faith Chapter XXI, Article 1.) The dialogical nature of worship refers to the pattern of worship exemplified throughout Scripture: God speaks, and his people respond. These two principles set limits on what can and cannot be incorporated into the church’s worship practices. We live in a culture which prizes above all things freshness and novelty, and our own sinful hearts, “idol factories” as Calvin so aptly described them, love to devise not only wrong things to worship but wrong ways to worship. The Catechism leaves us without excuse: in worship, as in all things, “we shouldn’t try to be wiser than God” (Q&A 98). Having laid this groundwork, we can go on to discuss the particulars of the Dutch Reformed tradition of worship in our next post. For now, what is your church’s typical order of worship? How are the various elements rooted in Scripture, and how do they represent an ongoing conversation between the Lord and his worshipers? May the Lord guide us into the right actions and attitudes for worshiping him.